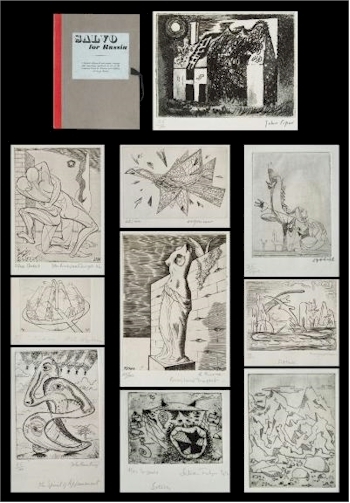 Art and Art Reference Books include all works connected with art and artists, sculpture, antiques and design. There are many reference works connected with these subjects, which are keenly collected not only as attractive and interesting books to own and read, but also as tools of the trade for fine art and antiques dealers, architects, gardeners and interior designers. As with all categories of books, there are certain people who collect works on a particular subject and are keen to create as comprehensive a library as possible on their pet subjects. Salvo for Russia (BK19/105), edited by Nancy Cunard and John Banting, which sold for 2,900. Garden design is a popular subject with the works of Gertrude Jekyll being a perennial favourite. Her gardens, often associated with the architecture of Edwin Lutyens, still exist and provide inspiration for the modern gardener. Equally works about Capability Brown, whose park-like gardens still grace many a country estate and are visions of an English rural idyll, are always popular along with the works of Humphry Repton and their ilk. As well as the antiquarian books that form the core of most of our books sales, we will often include boxed lots of attractive 'coffee-table' books which have an accumulative value and make attractive and interesting 'reads'. There are as many books about artists as there are artists themselves and if you can't afford a Monet, for instance, then a lavishly-illustrated catalogue raisonne (complete works) is a jolly good consolation prize. The quality of some of these works raises them almost to being works of art themselves: with limited editions, high-quality bindings and handmade paper. This, of course, can apply equally to other subject areas. The great Art collections of the World are catalogued and illustrated and available for anyone to enjoy with a few astute bids in this department! 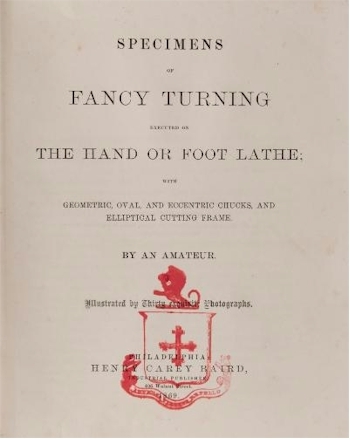 Specimens of Fancy Turning Executed on the Hand and Foot Lathe (BK19/108), which sold for £4,300. All areas of fine art and antiques collecting are covered by this category, right from general antique guides, to works devoted to one particular maker or designer. This would include works on the ceramics factories of the world such as Worcester, Meissen, Doulton, Dresden, etc. Furniture design including the works of Chippendale and Sheraton as well as more modern designers such as Mackintosh is a fascinating subject and always attracts attention. Reference works such as Percy Macquoid's The Dicitonary of English Furniture regularly appears in these sales and always finds a buyer. As with artists, the books available are as wide in subject as the hundreds of collecting areas: clocks, bronzes, silver, jewellery, toys, treen, ceramics, glassware, fabrics, musical instruments, ethnography – the list is really endless. Architecture of the world is a subject well-represented here right from early Roman design to the works of Gaudi and Norman Foster. The ancient Greeks' architecture inspired the Romans who in turn were inspiration for Georgian English architects who used the 'classical orders' (ie: Doric, Ionic and Corinthian) as inspiration for many great country houses built for wealthy patrons, who were often enthusiasts after a 'Grand Tour' of Europe. 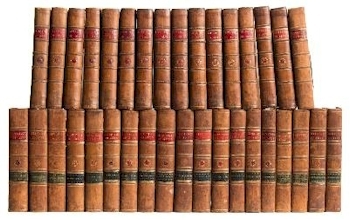 The Repertory of Arts & Manufactures (in thirty five volumes) fetched £3,500. The works of John Soane and Vanbrugh (also a major playwright) are particularly important examples of classical architecture and works by and about them are important for the influence they have on architecture to the present day: Many a suburban semi has an architectural pediment above the front door which harks back to a Greek Temple of ancient times! The increasing prominence of China as a world power has intensified the interest in Chinese works of art. For several hundred years, the advanced nature of Chinese decorative arts, especially ceramics, has meant an enthusiastic following in the West. More recently the economic power of China has made more people sit up and take notice of Chinese art which has surged in value as they buy-back items which have found their way to the West during and before the time of Empire. Catalogues of museum collections and academic works describing Chinese and Eastern Art have never been more popular and this is where you will find them in our Book Sale Catalogues.